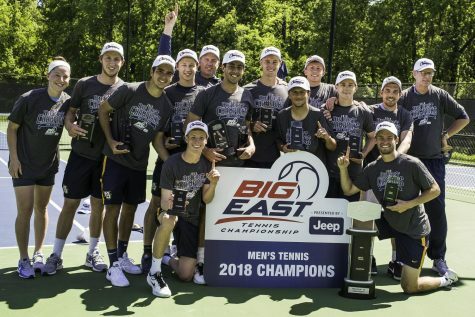 The Marquette men’s and women’s tennis teams both left Indianapolis without the Big East Championship trophy. 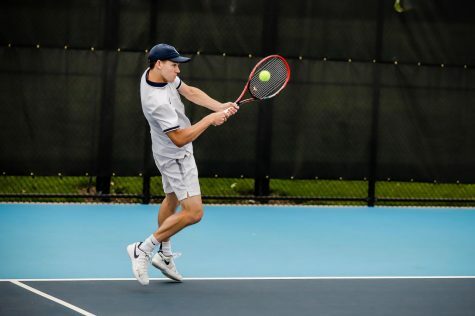 The women’s team were swept by DePaul in the semifinals, while the men’s team fell two points short of the trophy against St. John’s. 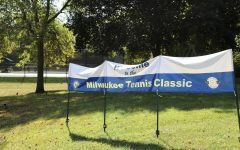 Both teams opened up Friday against lower seeds and both teams came away with victories. 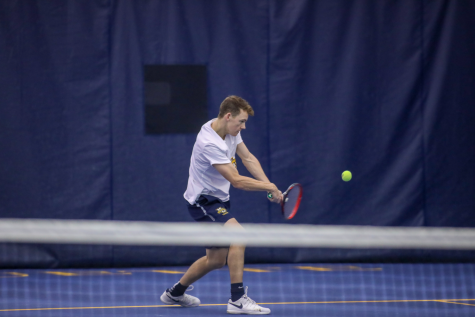 The men’s team defeated Creighton 4-2 and the women swept Georgetown 4-0. 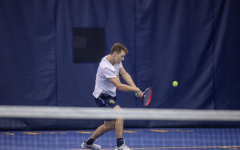 The men’s side started off the match against Creighton with a loss in doubles play and entered singles play down 1-0. 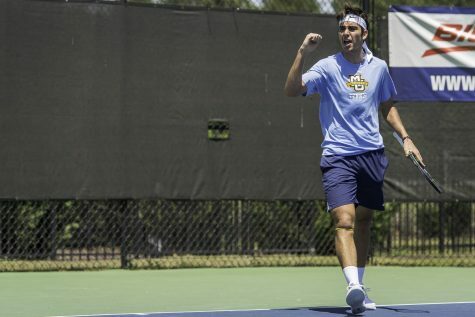 Senior Cameron Tehrani tied it for Marquette with his 6-0, 6-3 win at No. 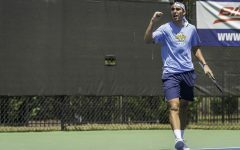 6 and then junior Daniel Fernandez gave the Golden Eagles the lead with a 6-1, 6-4 win at No. 1, a lead which the Golden Eagles never surrendered. No. 4 sophomore Kristiyan Trukov padded the lead with his 6-4, 6-4 win, but the Bluejays got within one with their 6-2, 3-6, 6-3 win at No. 3. But senior Vukasin Teofanovic secured the victory with his 6-4, 4-6, 6-2 win at No. 2. With the win, the Golden Eagles moved on to face Georgetown in the semifinals. The women’s team opened up the tournament against Georgetown and battled to a 4-0 win. 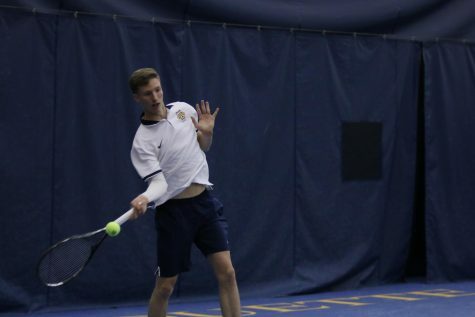 In doubles play, Marquette opened up with a win at No. 1, but lost in No. 3, pitting the point on the No. 2 spot. The duo of Ali Dawson/Aleeza Kanner barley pushed past Georgetown, winning the point 8-7 (7-5). 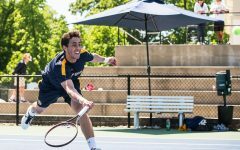 In singles play, the Hoyas continued to challenge, but Marquette responded every time. Junior Erin Gebes cruised to a 6-0, 6-1 win at No. 2 and senior Vanessa Foltinger put Marquette up 3-0 with a 6-1, 6-3 win at No. 6. Sophomore Diana Tokar completed the sweep with her 6-4, 6-4 win at No. 3. 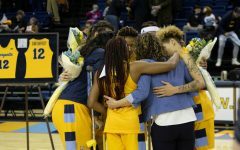 However, the momentum was short-lived, as the women’s team was swept by DePaul in Saturday’s matchup. 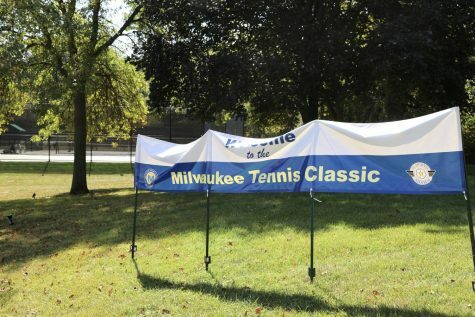 DePaul won the doubles point relatively easily and dominated the Golden Eagles in singles play. 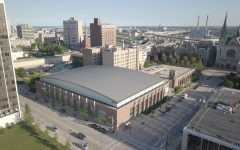 The Blue Demons won their four points without losing a single set. 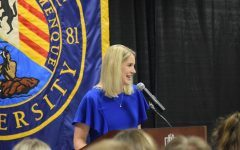 Tokar’s game, the only Golden Eagle to win a set, went unfinished as DePaul claimed the victory before her spot was decided. 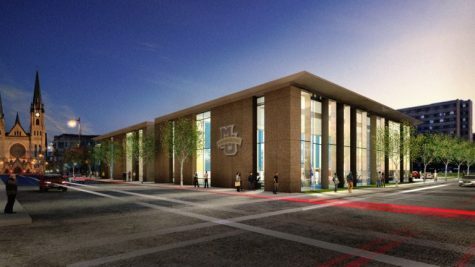 DePaul went on to win the Big East Championship for the second straight year. 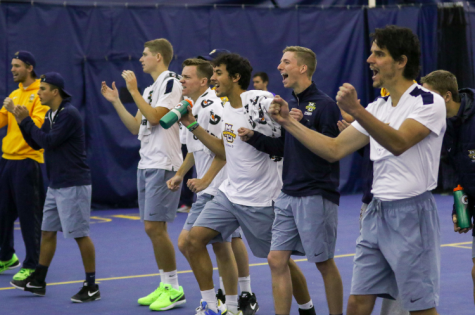 For the men’s team, Saturday’s match against Georgetown went as good as it could have. 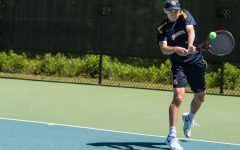 Marquette opened the match with a pair of 8-5 wins in doubles to win the point, then nearly recorded a clean sheet in singles play. 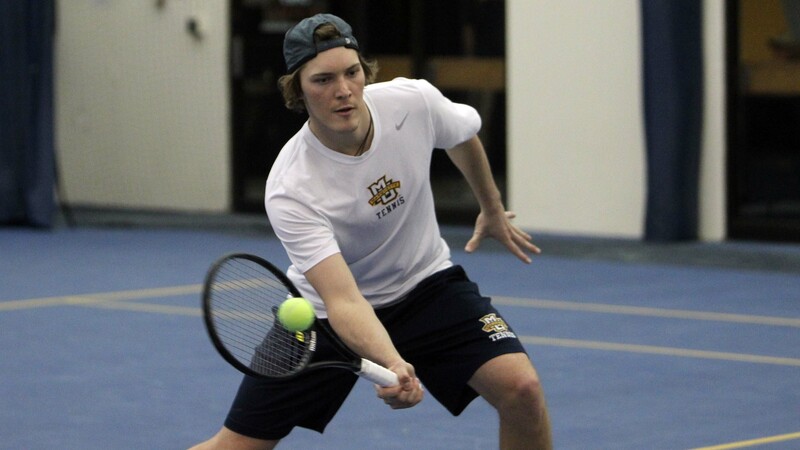 Junior Nick Dykema started singles play with a 6-4, 6-2 win at No. 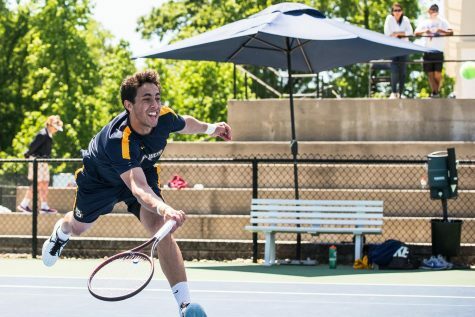 3 and Tehrani put Marquette up 3-0 with his 6-4, 6-0 win at No. 6. Teofanovic lost the Golden Eagles’ clean sheet when he lost his first set 1-6, but finished the point 6-2, 6-4 to complete the sweep. 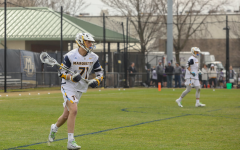 The win pushed Marquette to its first ever Big East Championship game. In the title match, the Golden Eagles faced reigning champions St. John’s. The Red Storm started off the match with an 8-5 win in the No. 1 and No. 3 spots to take the doubles point. In singles play, St. John’s built on the lead with a 7-5, 6-2 win against Fernandez at No. 1. 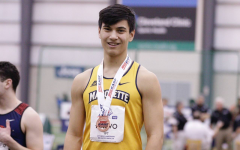 But the Golden Eagles battled back, with Trukov winning the No. 4 spot 7-6, 6-3 and junior Mackenzie Stearns winning No. 5 7-5, 6-0 to tie the score at two. The Red Storm regained the lead with a 6-2, 2-6, 6-3 victory against Dykema at No. 3. To seal the win, St. John’s defeated Teofanovic 5-7, 6-3, 6-1 to give the Red Storm back-to-back titles. The men’s side finished the season 14-10, while the women’s team finished 12-11.